Secure your spot today for a memorable unique messy play adventure with your child. We use lots of different messy mediums in each session such as edible finger paint, tempera paint, play dough, slime, gloop, ice, water, shredded paper, foam, sensory rainbow rice, colourful popcorn kernels, pasta, tapioca, chick peas. All ingredients are non-toxic and safe for young children to experience. The themes vary, book in for as many or as few as you like. The more sessions you book the more you save. To avoid disappointment book now, as sessions numbers are limited. Babies in arms are free. Sessions are aimed at 1-5 year olds, but its up to you if you think your baby is ready to join in some messy play !! If they join in – they need to have a ticket. Sibling tickets are for 2 children (must be siblings or under the care of the same adult) and are discounted. The booking process is through Paypal, you do not have to be a paypal member, just follow the prompts for Credit card payment. We cannot offer refunds or make up classes if you do not attend. 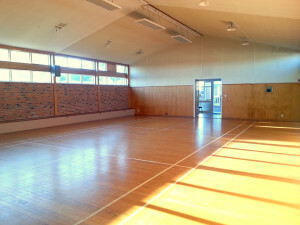 New Venue for monthly Mess It Up Events is at St Peter's Anglican Church Hall Takapuna. Parking available onsite, no stairs, toilets inside, large hall - plenty of room for push chairs.